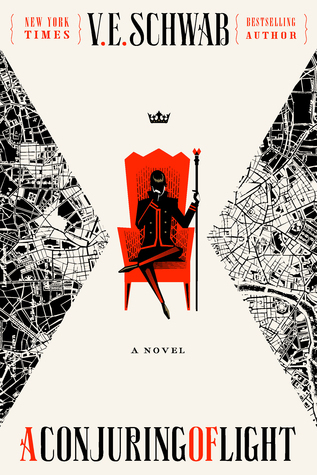 The Shades of Magic trilogy has rocketed into my list of top fantasy, my mind returning regularly to the remarkable world and characters author V. E. Schwab has created. I have a feeling it’s a series I’ll return to several times to relive the joy it brought me. Schwab has declared the series will remain a trilogy, the three books being A Darker Shade of Magic, A Gathering of Shadows, and A Conjuring of Light. However, a recent announcement has confirmed we will get to return to this world in a new series, something I’m ecstatic about. The trilogy is set in a universe of alternate realities. Specifically four, each connected by a city called London. Though they share a name, each London is different, as are the worlds they inhabit. Grey London is our own Victorian England, drear, industrial, and devoid of magic. 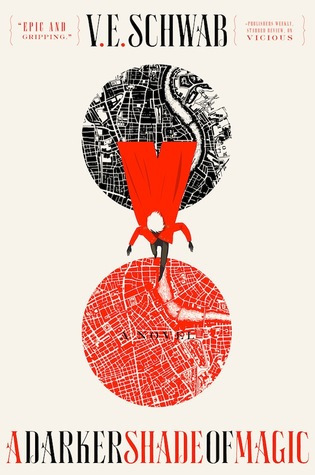 Red London is vibrant with power, the river coursing through its heart a pure source of power that glows bright red. White London wastes away, cut off from the magic it once possessed, people value power above all else. Black London is dead, destroyed by magic long ago. Only a rare few, the Antari, can travel between the worlds, and they are becoming fewer, leaving each world almost completely isolated from the other. The trilogy follows Kell, one of the last two living Antari, and Delilah, a thief with a talent for surprises. Together, they set off a chain of events which set the worlds on a collision course of epic proportions. The world building in this series is beautiful. From the cultures, to the cities, to the magic — it’s a joy. The characters are complex, engaging, witty, dark, and I challenge you not to fall in love with them. 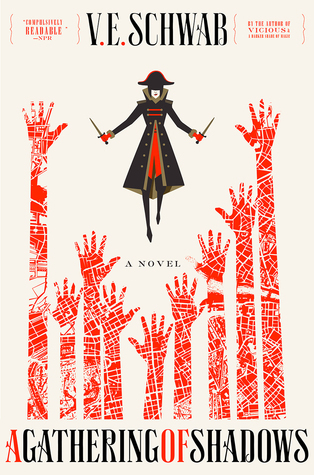 In addition to the two main characters, Schwab gives us a diverse cast of players who delight. You can find more information on the series on Goodreads here. Or you can pick up the first book (A Darker Shade of Magic) from Amazon or Book Depository.